Gezim Čobaj is from Ulcinj. By profession an ambulance doctor. He studied at the Medical Faculty in Novi Sad and Podgorica. During his studies, he was an activist. Upon arrival from Novi Sad, he continues to cultivate his cycling hobby in Podgorica. The ideal conditions for cycling in Podgorica and the complete lack of bicycle infrastructure took him to the first Podgorica Critical Mass in April 2012. There he met a team of lovely and like-minded people and after several informal activities, together they formed the non-governmental association Biciklo.me in December 2013. 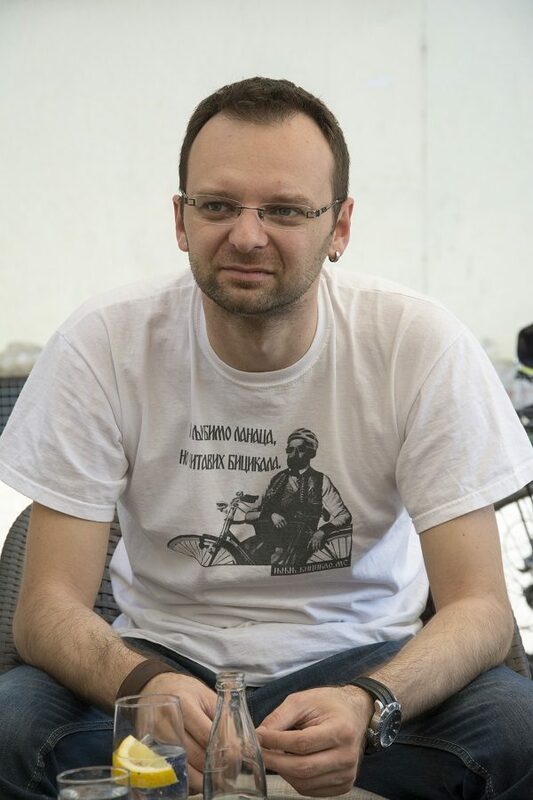 As an activist of Biciklo.me he participated in organizing dozens of Critical Mass rides to Podgorica and several other cities in Montenegro. He participated in the working group that made the preliminary decision for the first bicycle trail in Podgorica organized by UNDP. Shortly after, according to this conceptual solution, the capital built the first track. The marking of points for the first cycling parking was followed. He participated in a number of other activities, round tables and workgroups related to bicycle infrastructure. Bicycle classes with pupils from elementary schools were organized. As co-coordinator, he participated in numerous projects for the development of cycling infrastructure, which were successfully realized with the team Biciklo.me.